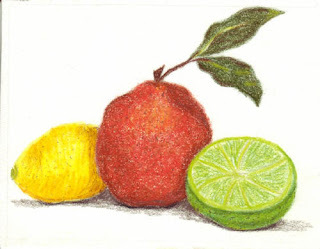 Sherry's Colored Pencil Corner: Illustration Friday - "Citrus"
very nice, i like the texture/changes in color. YOur colored pencil work is fabulous. Great fruit.